Looking for a Web Design Agency in Hampshire? Based in Basingstoke & established in 2005, we are an award-winning digital agency focusing on web design, development and digital marketing. We don’t run a production line or put time limits on creativity. Backed by a deep insight into your world, our design and development teams have the freedom to deliver the very best experiences for today and tomorrow. Whether it's a new brand, website design or customer facing web application, we'll be able to work together & achieve something that your audience will love. Using creativity & technology, we deliver sector-leading digital experiences that drive business growth. A new website design & digital animation for Access IS, the brand that lets you move. The art of lighting meets the art of digital. A stunning new brand & digital presence for Hampshire Light. A sweet e-commerce website for a low sugar brand. Helping Thomson & Scott with their digital design efforts. Bigger Picture have been fantastic from start to finish. They have guided us through a complete rebrand and new website build and their work has been first class throughout. Their design work is brilliant as well as their technical knowledge and expertise. They communicate well and explain complex ideas very simply. We're overjoyed with the work they have done for us and would have no hesitation in recommending them to anyone! Our discovery workshops are designed to get under the hood of your brand & empathise with your audience. We'll put a winning strategy in place to achieve your objectives. Our digital design team create unforgettable experiences that engage & convert. We bring screens to life using interaction, animation & anything else that is right for you. We develop scalable websites & applications that work. Whether it is powerful content management, e-commerce or a killer app, we have the skills to turn ideas into reality. Growing your digital footprint, giving your brand a voice and making sure you're found by the right people, we'll drive more traffic that lead to quality conversions. Our design agency in Basingstoke, Hampshire is away from the hustle and bustle. Working from an old farmhouse is the perfect environment for us to produce award-winning web design and development work. 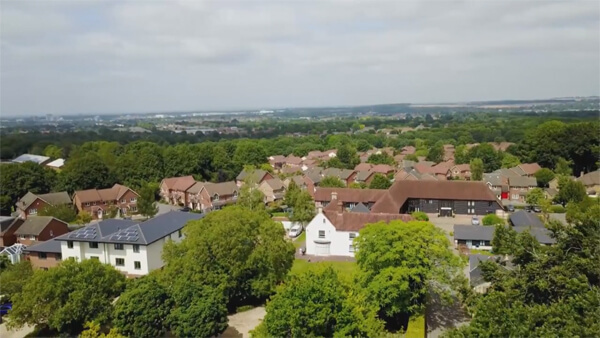 A stones throw from the M3, we're perfectly situated to serve our clients who are mainly based in Hampshire, Berkshire and Surrey. London is just a 45 minute train ride away so you'll see us visiting our clients there too. Your location or size isn't important to us, but your passion to have a sector leading website or app is. Our strategic, creative and technical process is constantly evolving to make sure we deliver the very best web design and digital solutions. If you are looking for a sector leading web design and digital experience, we want to hear from you. With almost two billion websites to be found on the internet, there are a lot of different things we can read about when we flick our screens on. So how can you make sure people want to read about what you have to offer, rather than delving away on a tangent towards a cat video compilation or worse, your competitors?